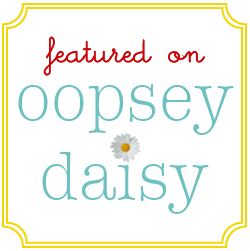 I have been almost giddy to share today's tutorial with you. 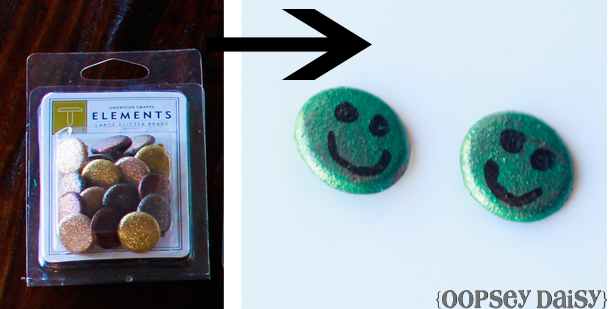 Recently, I participated in a craft challenge from Scribble Shop. At the Scribble Shop, you can find 75,000+ crafting supplies. 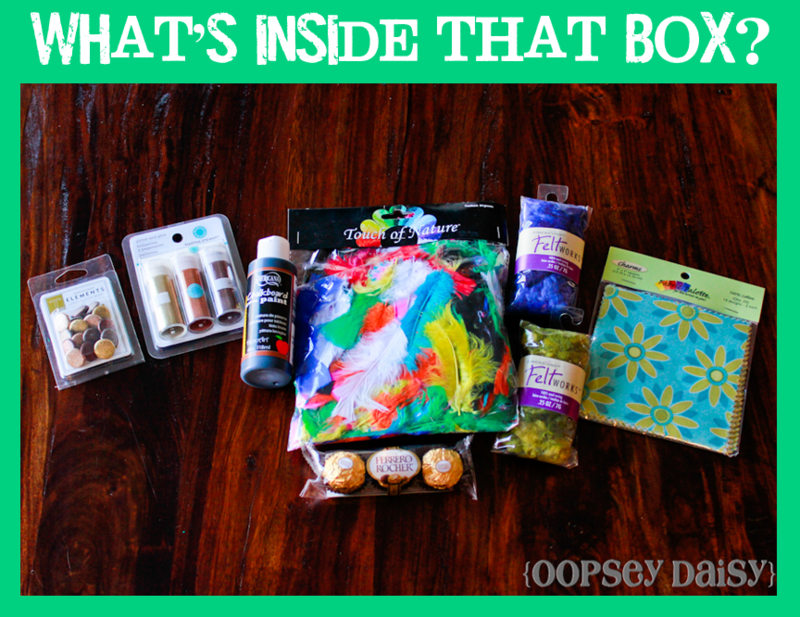 I was sent a mysterious box full of very random supplies and asked to create my own project--using every possible supply! (Think "Iron Chef" for the crafting world!) This was a fun challenge that forced me to be creative! 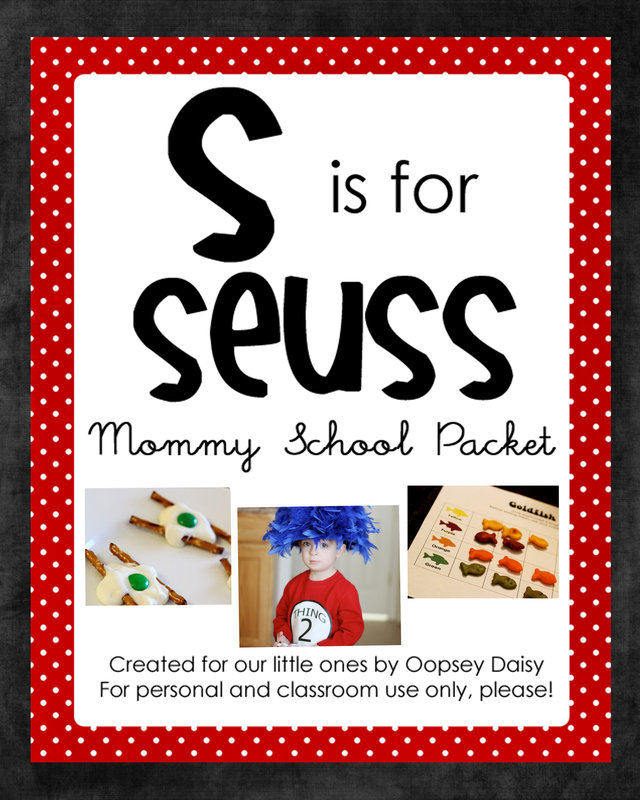 I just love making projects for Little Man! Since we saw The Muppets movie 3 months ago, Little Man has become obsessed with Kermit the Frog. He tells me almost every day, "Mom, my name is still Kermit the Frog." At our house, we do a lot of hopping. We watch Kermit the Frog on You Tube. We dye our fingers green. We wear Kermit the Frog t-shirts. You might remember these themed I-Spy bags I made a while back. For a while now, I have wanted to make color-themed I-Spy Bags. I realize that the season of green is over, but it is Little Man's favorite. 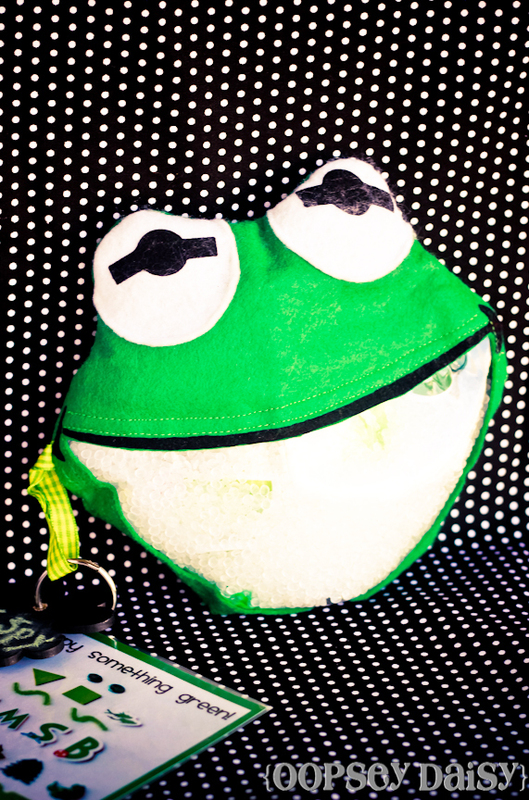 And what better shape for a green I-Spy bag than Kermit the Frog?! Anticipation was high when my box finally arrived and I ripped it open! In fact, I made a video when I opened up the box! You can check it out here on YouTube. Please be kind. This was my very first video! Trying to tape, open up a box, and talk to Little Man was a balancing act! 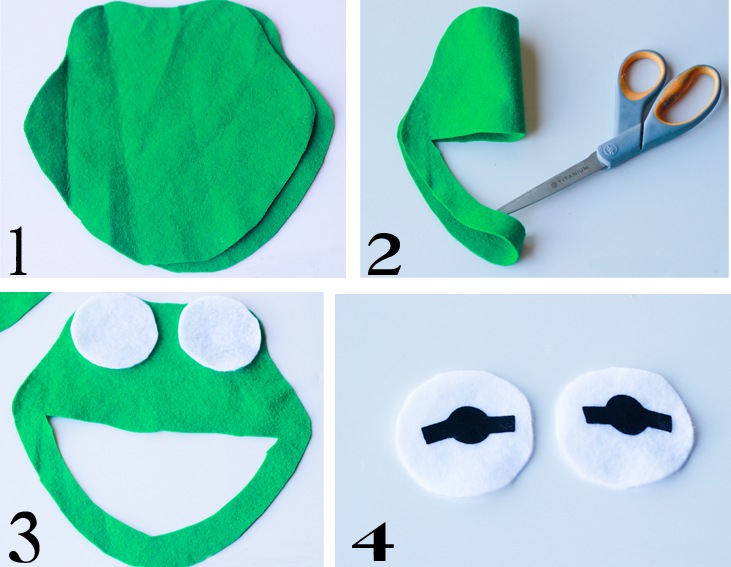 1 - First, using a rough outline that I made, I cut out 2 Kermit heads (front and back) from green felt. 2 - I took one of those shapes to create Kermit's face. I cut out a very wide mouth by folding the shape in half. This would be the window of the I-Spy bag. 3 - I cut out large eyes from white felt. 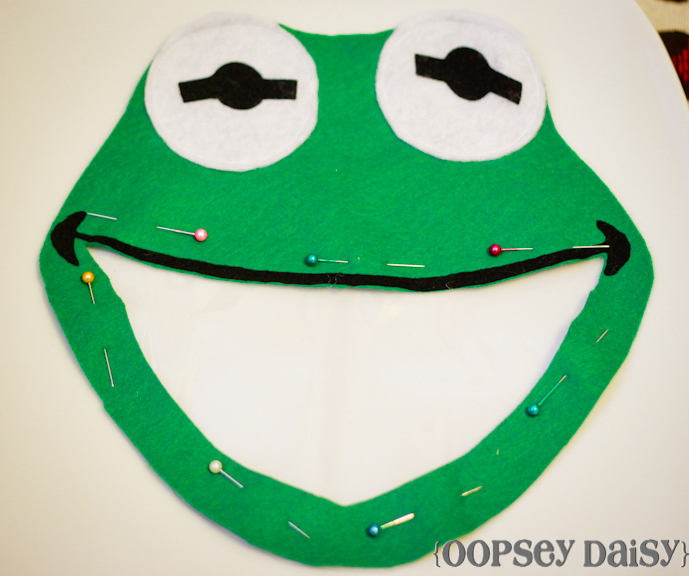 4 - I cut out eyeballs and the mouth from black felt and sewed all of that together to create Kermit's face. Next, I cut out a piece of clear plastic vinyl to cover the opening of Kermit's mouth. I pinned this and sewed it on. (Sew this with the felt on top so the vinyl doesn't stick to the pressure foot.) I went around it twice just to be sure that it would hold up from lots of loving uses! Next, I pinned the 2 sides of the face with right sides together. I pinned a small ribbon loop along the side so I would be able to add a list of things to "spy." I sewed all the way around, but left a space at the bottom to sew up later. 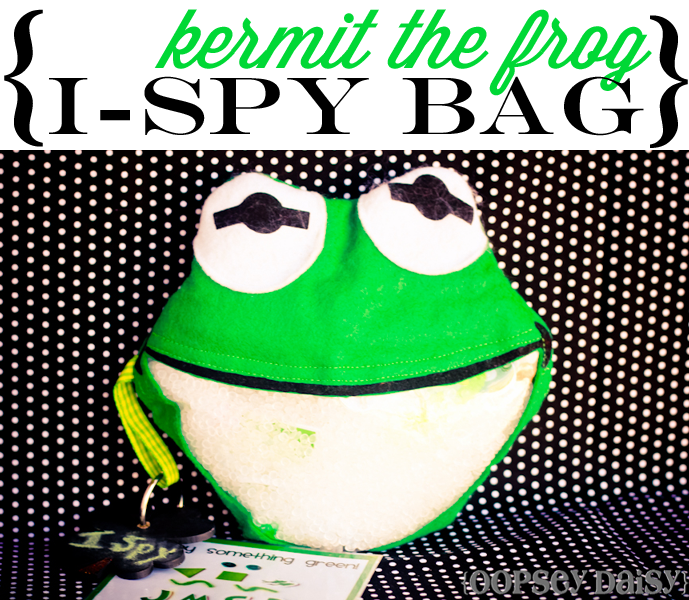 Next I added all of the green items to spy inside the bag! I raided my drawers full of knick-knacks, and I added some foam stickers I had on hand. 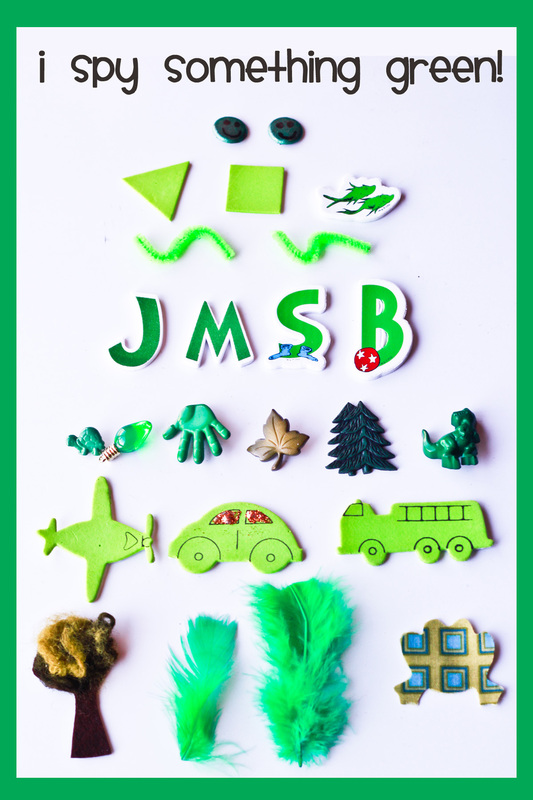 Really anything green! I also added many of the items from my Scribble Shop package here! Do you see the green feathers inside? 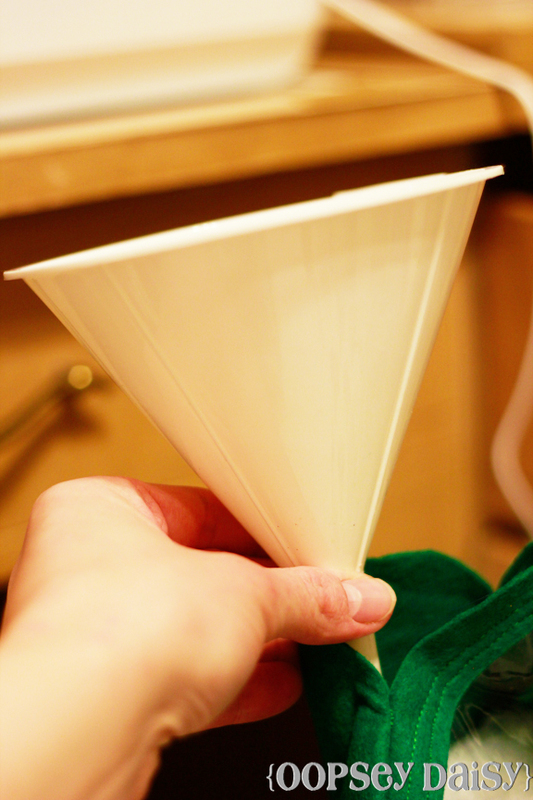 I carefully used a funnel to add poly pellets (you can easily use dry rice, too) to the bag. Then I carefully sewed up the opening! 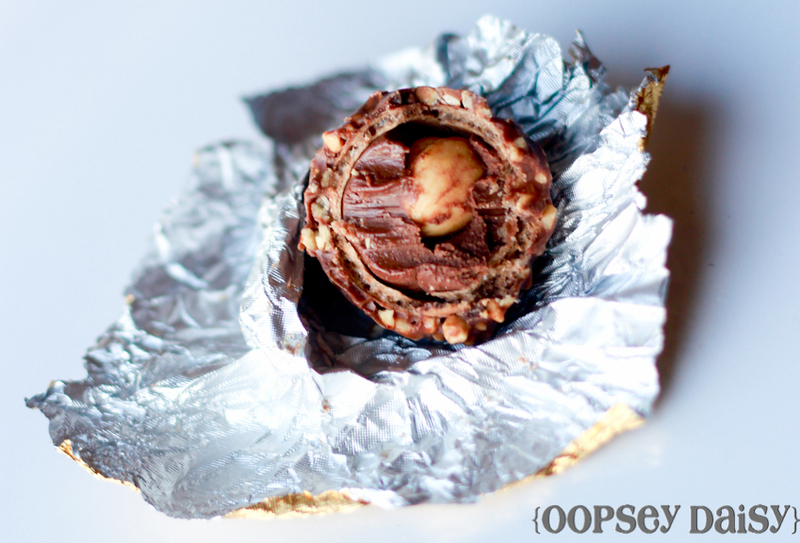 Are you wondering what happened to all those Scribble Shop items in my package? I used the fabric squares to cut out a frog shape. I used 2 different fabric squares--one for the front and one for the back. I transformed some of the brads by painting them green (are you tired of green yet?) and adding smiley faces. Aren't they cute? Of course I took a picture of all of the "green" items to try and spy! I printed the photo, laminated it, punched a hole, and added it to a book ring and then around the ribbon loop. 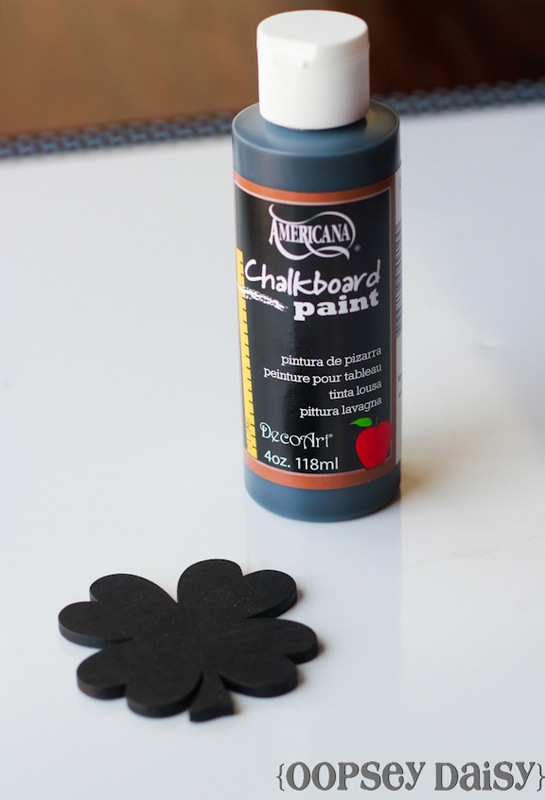 I thought it would be fun to use chalkboard paint to paint a shamrock wooden cut-out--because it's typically green! ( You could really use any kind of plaque or wooden cut-out here.) Hubby drilled a hole in it, and we threw this onto a book ring along with the list of items to "spy." I used the glitter to add some sparkly touches here and there. I added glitter to the shamrock and to some of the items inside the bag. Maybe the extra "bling" will help Little Man in his spying searches! See how all the list hooks on to the ribbon on the bag? 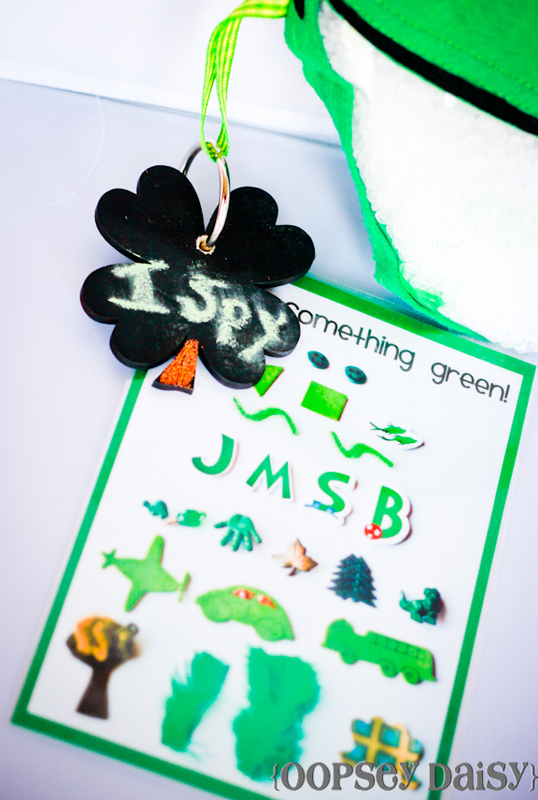 I even used green chalk to write "I Spy" on the chalkboard shamrock! And yes, I even used the truffles! Powerful fueling for late night crafting! And with that, I think I used all of the crafting supplies minus the blue roving! I am quite smitten by little Kermie! 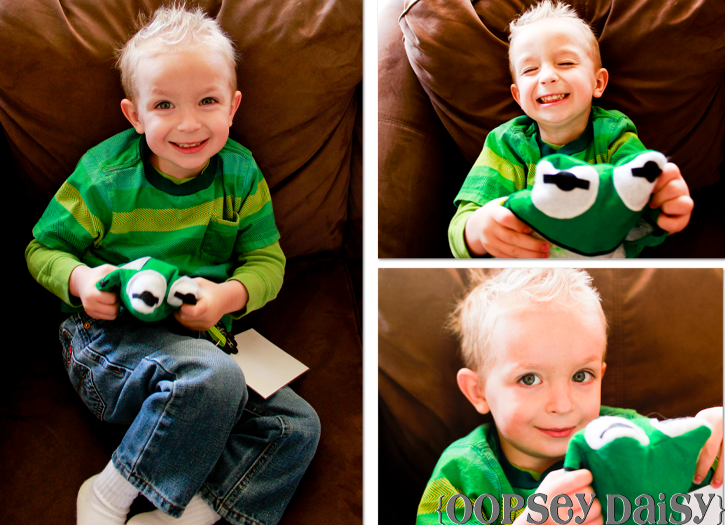 I could hardly wait for Little Man to wake up the next morning and see his Kermit the Frog all finished! He absolutely loves it. I just love that cheesy face! Thank you, Scribble Shop, for this creative challenge!! I had a lot of fun with this project. You can keep in touch with Scribble Shop on Twitter, Facebook, and Google Plus. Right now, you can score 15% off any supplies at Scribble Shop! Just enter code OOPSYDZY at checkout. 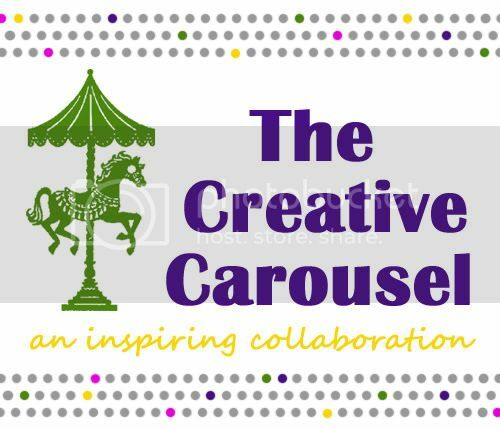 I wrote this post as part of a paid campaign with ScribbleShop.com and Blueprint Social. You can read my full disclosure here. How creative! What a cute I Spy bag! Very cute, Allison! I think we received almost the exact same supplies! I’m working on mine today and will post later in the week. This was a challenge, though, wasn’t it? I just love this! You did an amazing job! So cute! I bet my son would just love this!! Very very sweet – and who doesn’t love Kermie? 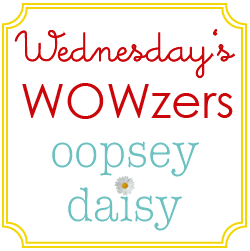 Mod Podge Amy recently posted..Dollar store diva mirror. Your I Spy bags are too cute! And now Kermit… I think you’ve topped yourself! 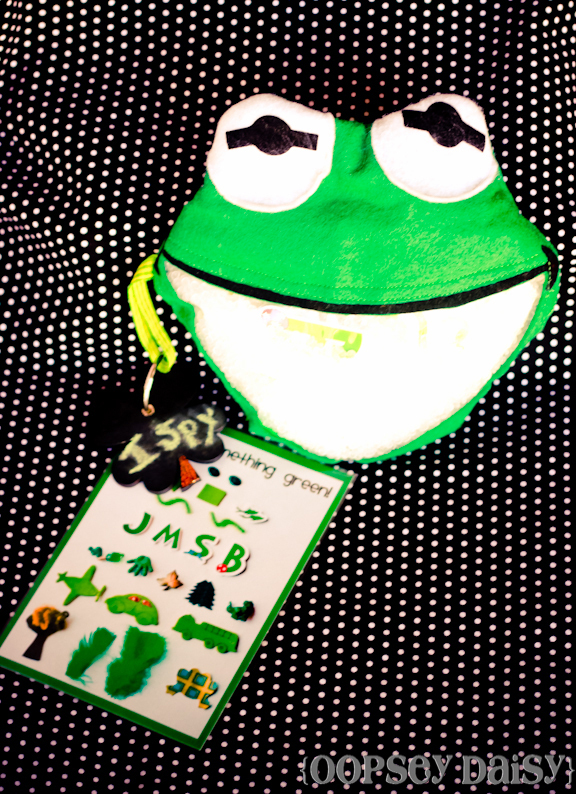 The Kermit Frog I spy bag is so creative, I like how you made a sheet of all the green things, I also really like the little tree you made out of the roving. Scribble Shop recently posted..Easter-themed Chocolate Covered Pretzels! 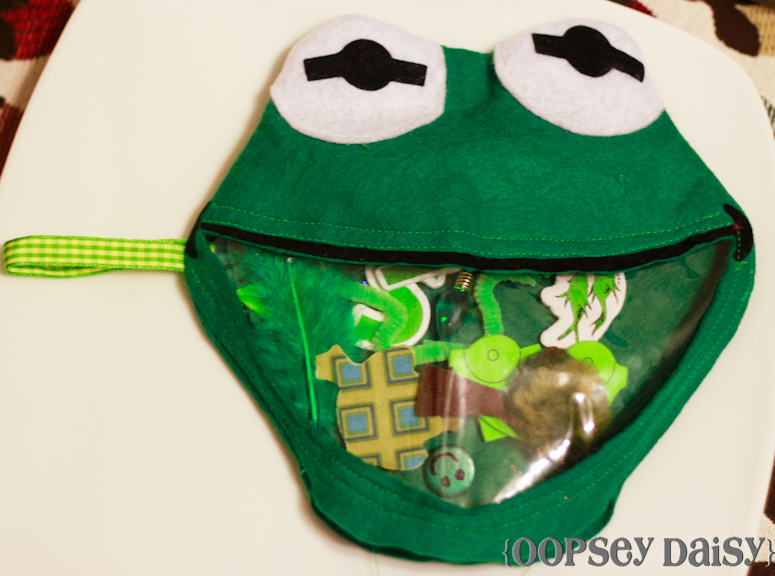 This ispy bag is a cute sewing idea to make for kids. I could see us using this to play while waiting at the doctors office. My daughter would enjoy helping me sew this on her kids sewing machine! Thanks for the cute idea!